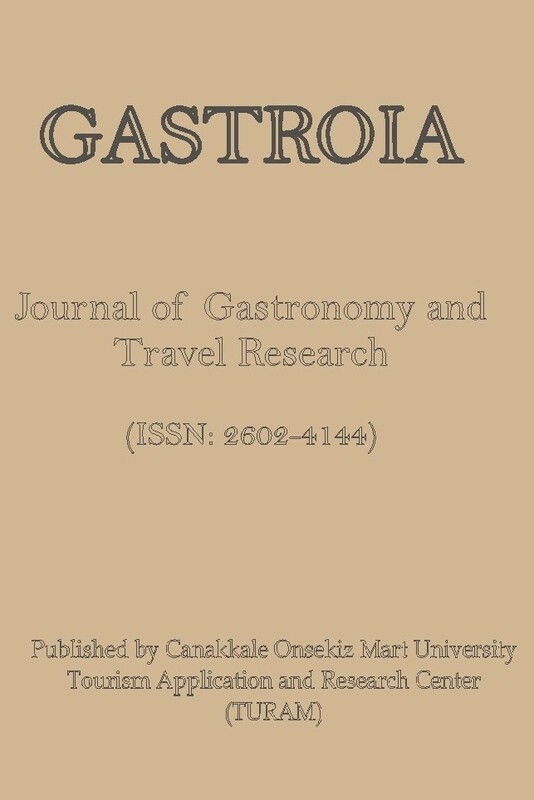 Gastroia: Journal of Gastronomy and Travel Research is a scientific journal published by Canakkale Onsekiz Mart University Tourism Application and Research Center (TURAM), which aims to share original scientific studies in gastronomy and travel in national and international level with researchers and the public. The journal is in Turkish and English. It is necessary to have an English summary in all articles. The journal, gives priority to papers which handle new trends and developments in gastronomy and travel.